On October 17, 2015, at the Huntsville "Walls" Unit, 40 volunteers and 132 offenders celebrated the 67th anniversary of the Pathfinders group. This is an Alcoholic Anonymous (AA) group that was established in 1948. In fact, the Pathfinders group is the second oldest prison AA group in the United States, with San Quentin being the oldest. Although this was the first group established in the Texas prison system there are currently 78 AA groups actively meeting inside the Texas Department of Criminal Justice (TDCJ). Anniversary celebrations are of historical importance. This was a wonderful event to show the significance of the program over the years. In spite of the many changes in corrections, the central ideas of AA have not changed. AA is a fellowship of men and women who share their experiences, strength and hope with each other to collectively solve their common problem and help others to recover from alcoholism. AA does not endorse any specific faith preference, but rather encourages any and all paths of spirituality. Their concepts embrace the spiritual and recognition of a higher power is important. The purpose of these groups still today stands strong. 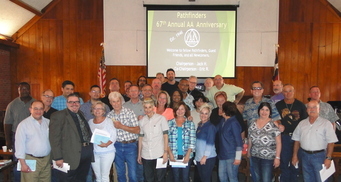 This anniversary event program was sponsored by the Southeast Texas Area Assembly of Alcoholics Anonymous Correctional Facility Committee (SETA-CFC). The purpose of the SETA-CFC is to carry the AA message to men and women throughout the criminal justice system. They provide support to offenders reentering society, coaching them prior to release and assist them to get to their first AA meeting upon release. These volunteers share their personal experiences, provide free books and literature. SETA-CFC is currently sponsoring 22 units within the TDCJ. If you have an interest in supporting the mission of SETA-CFC and want to partner with this organization visit their website http://aa-seta.org/ . SETA-CFC partners are provided with all necessary programmatic materials to join in the effort to provide offenders the opportunity for a successful recovery. 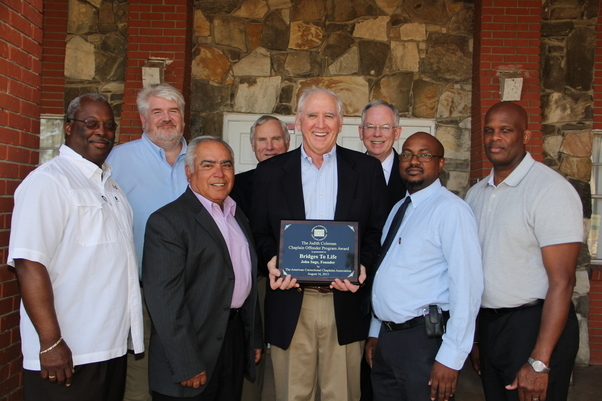 On August 16, 2015, founder John Sage of "Bridges To Life" (BTL) program was awarded the American Correctional Chaplains Associations' Judith Coleman Chaplaincy Offender Program Award. This prestigious national award for "program of the year" is named after Judith Coleman, an American Correctional Chaplains Association (ACCA) officer and leader for 30 years. The award gives recognition to a chaplaincy program deemed most creative, effective and outcome-based in the United States each year. Vance Drum, President of ACCA and Director of Chaplaincy for the Texas Department of Criminal Justice (TDCJ), presented the award. 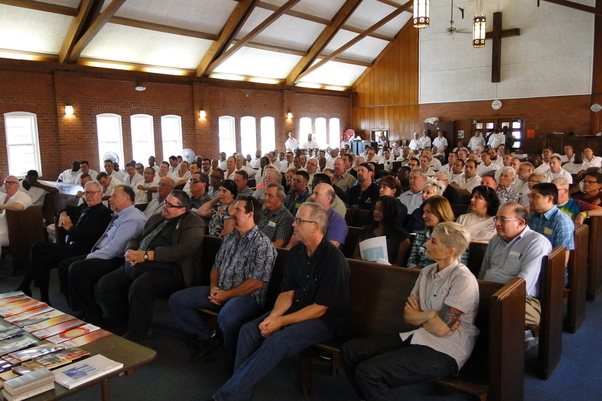 BTL is a 14 week program currently offered in 43 units throughout the TDCJ. The program focuses on the understanding of four main components: (1) the effects of crime and the relationship between offenders and victims; (2) the importance of faith and stories in the healing process, responsibility and accountability after an offense; (3) the importance of confession, repentance and forgiveness after an offense; and (4) the importance of reconciliation and restitution after an offense and actually participating in symbolic restitution. The BTL program got its start in the TDCJ at the LeBlanc facility in 2000. Since then they have coordinated over 600 BTL projects in 51 TDCJ facilities, graduating over 25,000 inmates. This significant achievement has been accomplished with the help of over 1,500 TDCJ approved volunteers. On a larger scale the BTL curriculum is being utilized in 12 other states and in four foreign countries. If you would like to learn more about BTL or become a volunteer please visit their website for further information. 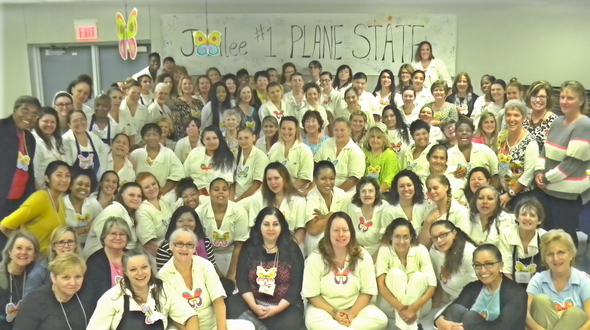 On November 1, 2015, over 70 volunteers and 42 female offenders gathered at the Plane State Jail for the closing of their first Jubilee program. The Jubilee Prison Ministry is specifically focused to serve individuals at state jails. Offenders were separated in groups named after mighty women of God such as: Blandina, Cheryl, Eve, Esther, Felicity, Maura and Miena; as these mighty women of faith have fearlessly faced death and gave their life to protect the church, spread the gospel, help those in need and serve as a witness. Offenders identified with these role models and found hope in their shattered dreams. Each participant seems to have a new inspired hope to continue to strive to be a productive citizen and return home to a family that loves them. The Jubilee Prison Ministry program was founded in 2014. The ministry focuses on spiritual transformation through engaging the incarcerated in what seems as a life-changing encounter with Jesus Christ. Although spiritual transformation is at the forefront, behavioral changes occur as a result of the transformation. Programming of this nature benefits the entire community in which these men and women reside upon release. The program targets both female and male offenders with short-term (less than five years) sentences with the dual objectives of “Transformation” and “Transition.” Transformation is aimed at helping them become an active member of the body of Christ, and transition to a faith community in the free world where they can live out a purpose-driven life. If you would like to learn more about Jubilee or become a volunteer please visit their website for further information. Kairos Outside (KO) is a special weekend retreat designed to support the female loved ones of men and women who are or have been incarcerated. Families of the incarcerated "do time" right along with their loved ones. In a safe environment with supportive people, women interact with other women who are in similar situations and learn to form small support groups to give them strength for the challenges they face. KO began in California in 1989 as an idea from the Chaplain at San Quentin State Correctional Facility. Jo Chapman, a Kairos volunteer from California took the Chaplain’s idea and developed KO. Any adult female of at least 20 years of age, whose life has been impacted by the incarceration of a loved one, is eligible to attend a “KO Weekend”. Women, who did not have an opportunity to attend a Kairos Weekend while incarcerated, may also attend. This program is not limited to those women whose relatives/friends have attended a Kairos Weekend. Kairos Inside is a Christian based prison ministry which addresses the spiritual needs of incarcerated men, women, youth and their families. Kairos Inside is composed of a volunteer team of men and women that are well-organized and well-trained from the surrounding communities to present an introductory 3-day weekend, described as a short course in Christianity. This inter-denominational team of approved TDCJ volunteers - both clergy and laypersons - works in cooperation with the Chaplain who carefully selects up to 42 inmate leaders to attend. The program has a follow-up that includes Kairos reunions and a regular prayer and share. The Kairos Prison Ministry is an excellent way to provide for a spiritual experience on the inside; while “Kairos Outside” is designed to bolster the loved ones who are supporting those incarcerated individuals. The women on the outside, in many ways, have to be stronger than those on the inside to survive in today’s world. KO is intended to let those families know that there is a community that cares about them and their needs. To learn more about becoming a TDCJ volunteer visit the TDCJ website and click on the Unit Directory to identify a facility near you. If would like to discuss the specific volunteer needs for the facility, please feel free to contact the Unit Administration or the Chaplain by calling the facility. You can also visit the Volunteer Services webpage by clicking on Volunteer with the TDCJ. You are encouraged to complete a Volunteer Application and take the application to a Volunteer Training/Orientation class near you. This service is provided to you at no charge by Texas Department of Criminal Justice Volunteer Services.